This module for Rite Publishing’s Demolished Ones (Dark City/steampunk-crossover) clocks in at 21 pages, 1 page front cover, 1 page editorial, 1 page SRD, leaving 18 pages of content, so let’s take a look, shall we? But before we do – please be aware that this is as much a thematic expansion and a kind of guidebook for such twists and encounters; thus following contains SPOILERS. Potential players will want to jump ahead to the conclusion. We begin this book with a relatively daunting task, if you’re a new GM – adding a turncoat to a group. Since this is not as simple as it may sound, the supplement discusses the pros and cons of pregen reveals and lack thereof, guiding the GM through the process of selecting what seems most appropriate for the respective group. I mentioned the turncoat – appropriately named “Murmuring Guller,” the discussion to follow helps the GM (and the player!) take into account the specific challenges required for the task at hand, namely guiding the game by being a subtle foil. Similarly, the central problems of such a set-up fall by the wayside due to “The Demolished Ones” very set-up: Fixed identities and memories already have fallen by the wayside and similarly, gaslighting and the like is part of the assumptions – as is the handing out of concealed notes and similar means of contacting players sans explicit group-knowledge. Much like the downsides of the FATE-system, “The Demolished Ones”‘s framework mitigates the most central issues that would spring from such an endeavor in other contexts. The second scenario begins similarly with a ticking timer: Two bank guards are dead, the employees are locked in an airtight vault within the bank and 1 hour of oxygen – and in 15 minutes, the place is supposed to open for business. Here, the guller inserted into the group is there to make sure the PCs perish in their current predicament, but the character does believe the rest of the PCs to be responsible for the deaths of kith and kin at the behest of master Mr. Ahnt, a rather…let’s say unpleasant fellow, even as far as masters go. And yes, players killing players is part of the possible set-up. There also, obviously, are several NPCs potentially hunting the PCs – with chances to run and a return to criminal life being a crucial choice here – as brainwashed convicts, this experiment is about finding out whether the PCs can refrain from criminality. Similarly to the first scenario, we get stats for the master responsible. The third scenario begins as the PCs awaken to the scolding of Sigmund, a psychologist in the local Sanitarium. The only issue is: The PCs don’t seem to be insane (at least right now!) and neither do they seem to be drugged out to their grills, though everyone seems to assume they are. Oh, and a potentially lethal electro-shock therapy is waiting in the wings for the PCs – joy…a proposition they probably will not be too excited about. However, unbeknown to the PCs, the pyschiatrist scolding them is another patient, while one of their own is the true psychologist…and the murmuring guller. You see, the PCs *are* criminally, dangerously insane and the guller actually tries to keep them alive and locked away, while another master seeks to unleash them on the unsuspecting populace of the dome. The master in charge here also gets stats. Editing and formatting are top-notch, I noticed no significant issues. Layout adheres to a neat 2-column b/w-standard and the pdf features several nice original b/w-artworks. The pdf comes fully bookmarked for your convenience. Robert N. Emerson’s expansion/riff on the themes of The Demolished Ones is truly interesting – much like the Amnesia-games, they lend themselves to fast-paced, intense and thoroughly disquieting games that work best as one-shots. The concepts introduced are interesting and so are the visuals of the adversaries. Quality-wise, each of the 3 scenarios provides some thoroughly compelling, iconic moments and is worth playing. At the same time, the scenarios themselves, by virtue of the relative brevity of this supplement, must be considered to be basically skeleton-3-act-set-ups that require quite a lot of GM-work to get going, making me truly wish this book were a bit bigger, had the respective scenarios laid out in more detail. At the same time, this book has to be commended – In case you don’t know, I *really* dislike FATE. The only means I managed to derive joy from the system was via The Demolished Ones, as the setting’s base assumptions justify and circumvent some components of the system I consider system-inherent problems. While it took me quite a while, I buckled up and returned to the world of The Demolished Ones with this book, and it turned out to be a fun trip – so yeah, kudos for managing that level of quality with what is provided herein! My final verdict, ultimately, will thus clock in at 4.5 stars, rounded up to 5 for the purpose of this platform. You can get this cool expansion/adventure-book here on OBS and here on d20pfsrd.com’s shop! I’m curious why you dislike FATE. I don’t think I actually like it myself – my only contact so far has been via The Dresden Files and ICONS, and I thought it worked better for ICONS – and I wondered if your reasoning was similar to mine. My problem with FATE is that it boils down to competitive BSing (just my opinion, I don’t judge – the system works for a lot of folks, it just doesn’t do anything for me); GM and players basically try to sell their narrative to one another. 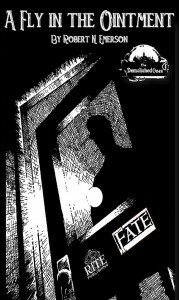 While that holds true for most roleplaying games to a degree, FATE’s structure does not provide much beyond that, which renders the job of both players and GMs, at least for me, stressful and an exercise in rhetoric, not much more. Basically, I think that the system doesn’t have sufficient meat in its core functionality; less than even extremely rules-lite d6-based games. Yes, that was largely my complaint with the system – I got the definite impression that a player could essentially talk their way out of anything bad happening to a character by rewording what the GM said. Okay for superhero games perhaps, as superheroes don’t tend to die, but not so much for anything else.